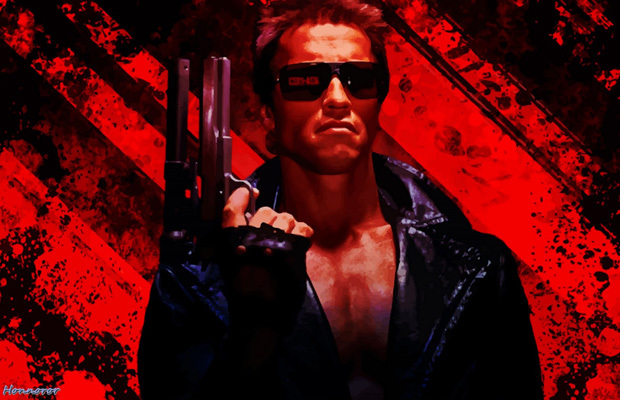 This year marks the 30th anniversary for the 1984 release of James Cameron’s The Terminator staring Arnold Schwarzenegger. The film has become a landmark for the sci-fi genre, although many people at the time of its release never even heard of the aspiring filmmaker, who was living out of his car and received coupons for food from his mother in order to survive. Schwarzenegger was a fairly familiar name, however, many people were unconvinced by his acting career prior to this project due to his bodybuilding history and awkward Austrian accent. The film was an unexpected success for the duo, as well as the genre with its intense action scenes and introduction of the iconic cyborg character to the screen. With news of a fifth movie in the franchise, Terminator: Genisys, hitting theaters on July 1st, 2015, many fans of the franchise have been wondering what will become of the film as it will not be a sequel or continuation of any sort. It will rather serve as a “reboot.” So in celebration of the original’s anniversary and the upcoming follow-up, we assembled this fun fact sheet for long-time fans to indulge in. 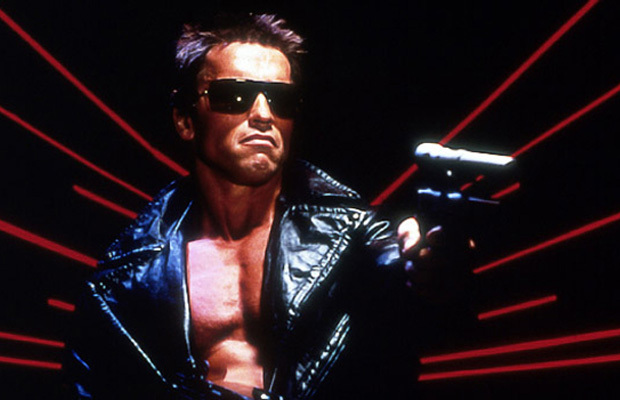 Here are 25 Things You Didn’t Know About The Terminator. 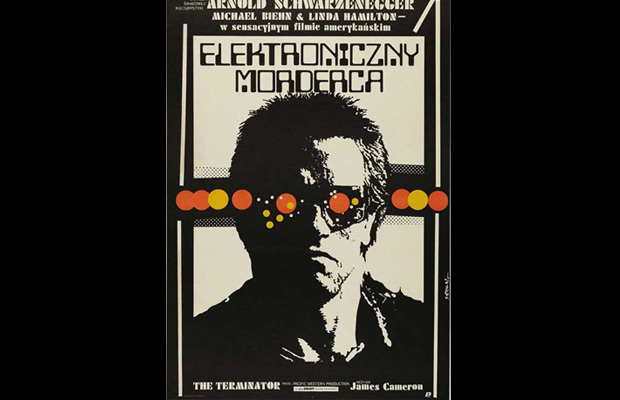 The film was renamed The Electronic Murderer when it was originally released in Poland. 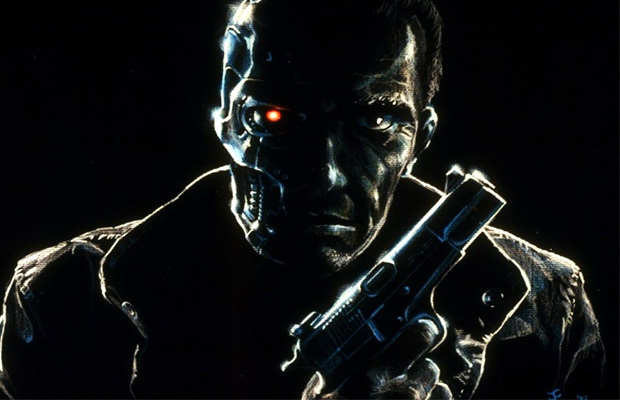 For whatever reason, “terminator” means something very similar to “apprentice” in Polish, so the title was changed in order to better reflect the film. By the time all of the rights and release information was ready though, the production team had given up on renaming the film all together. 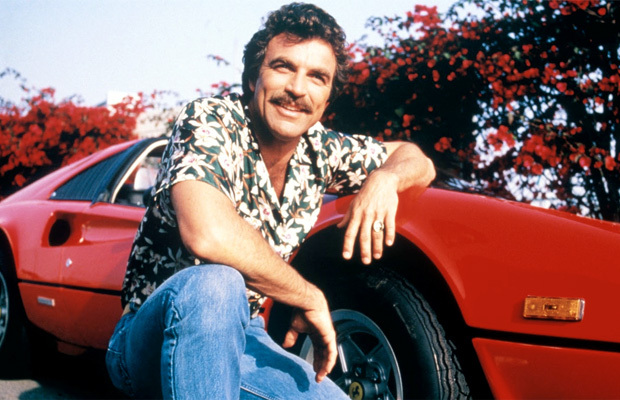 Tom Selleck was forced to turn down the role of the T-800 because of his previous commitment to Magnum P.I. The role of Sarah Connor was originally written for Bridget Fonda; however, she declined the role when it was offered to her. Casting went through forty different female actors, some declining, some unfit for the part, and some changing their minds, before the role was finally given to Linda Hamilton. There was minimal interference from the film’s financial backer, Orion, but the group did make two suggestions for Cameron to take into consideration: add in a cyborg dog for Reese (this idea was declined) and strengthen the relationship between Kyle and Sarah, which Cameron did enhance before production was complete. 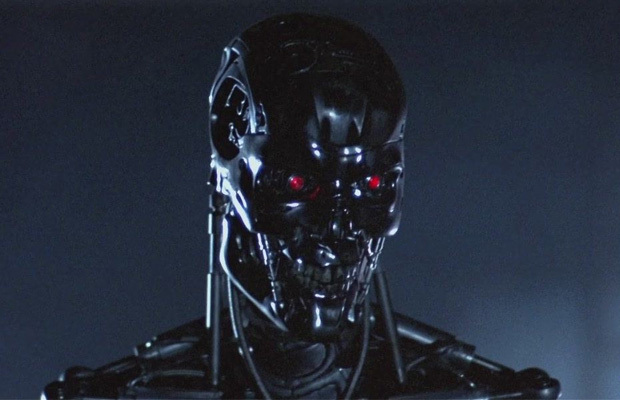 Cameron’s idea for The Terminator came while he was still on post-production of Piranha II. He had a very vivid dream about the plot of the film, and, “came up with the entire plotline all in one wallop”. 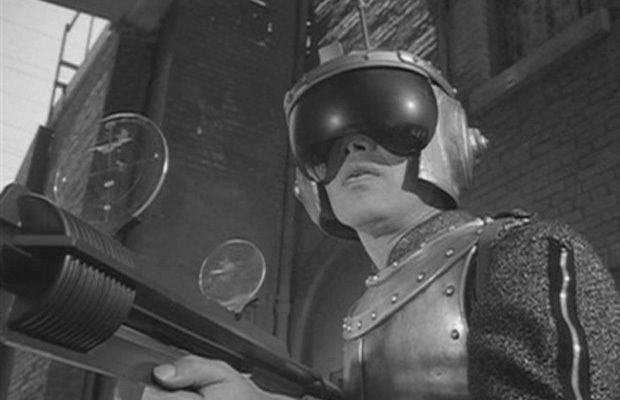 Harlan Ellison, a writer for the TV show The Outer Limits professed his “love” for the film; however, he then made the claim that the plot of The Terminator plagiarized an episode of the TV show entitled “Soldier”. Cameron and his team were forced to pay-off Ellison in order to prevent further lawsuits and conflicts over ideas. 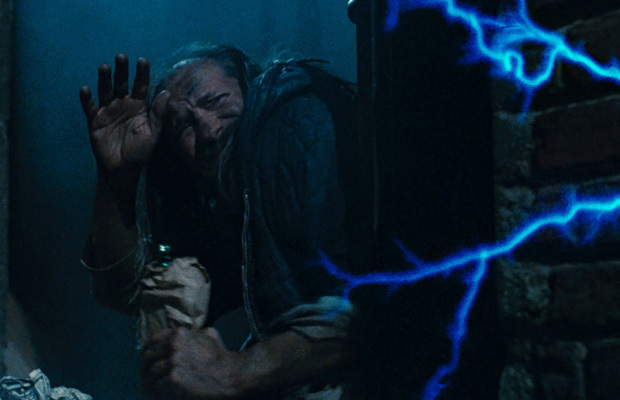 To this day, Cameron holds strong that he did not steal the idea for the film from anyone. The homeless man that Kyle Reese steals a pair of pants from is named Stan Yale. Yale’s IMDb page lists him as having played more than 18 “homeless”, “drunk”, or “bum” characters throughout his career. 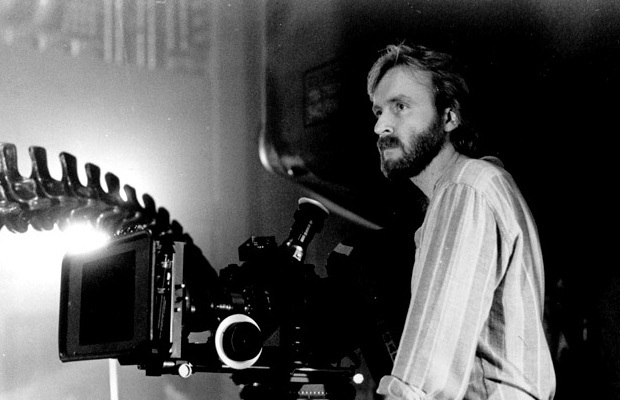 Director James Cameron himself makes an appearance in the film. Well, at least his voice does. In the scene that shows Sarah Connor’s voice machine, the voice that is recorded in the message is none other than Cameron’s. He also plays the kiosk guy at the Tiki Motel that Sarah stays at later in the film. Linda Hamilton broke her ankle a week before production began, so her chase scenes were moved to the very end of the shooting schedule in order to accommodate her injury. The original production dates were pushed back nine months because Arnold Schwarzenegger was working on Conan the Destroyer. Luckily for Cameron, he was able to write and develop the ideas for Aliens during the wait period. 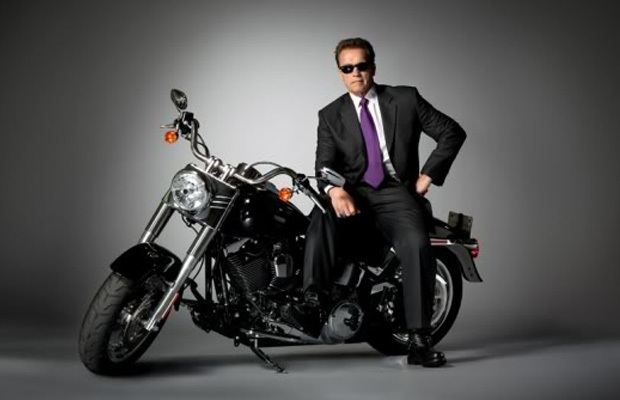 Cameron definitely owes Schwarzenegger for allowing him that extra time to create his next big film. 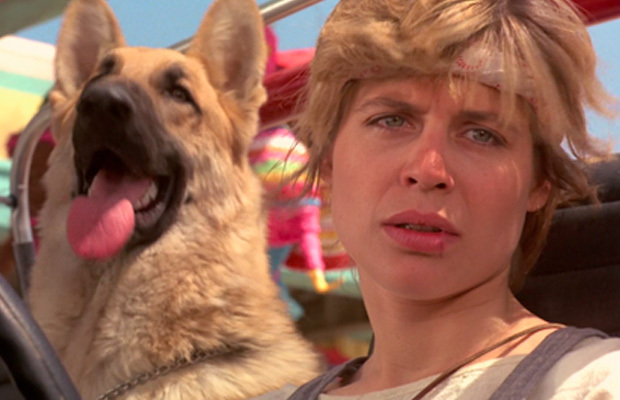 The dog in the film, Wolfie, was James Cameron’s own German Shepherd. Lance Henriksen was originally meant to play The Terminator-sketches for the character closely resembled him, and he was approached about the role many times. 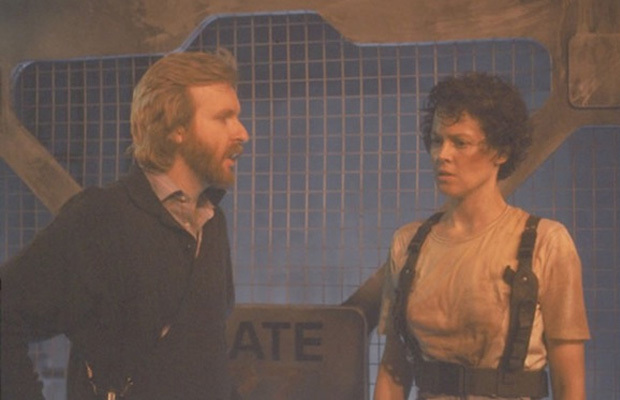 In a surprising turn of events, Henriksen ultimately ended up playing a cyborg in Cameron’s later film Aliens. 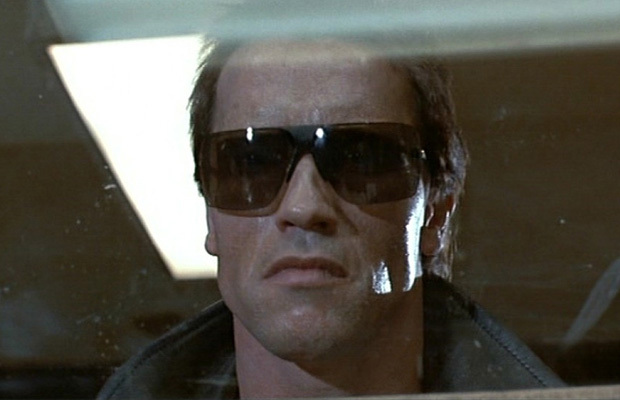 The sunglasses worn by the Terminator are called “Gargoyle”. Although the 1984 style and brand are no longer sold, interested fans can scour the pages of eBay for a pair of the iconic shades. 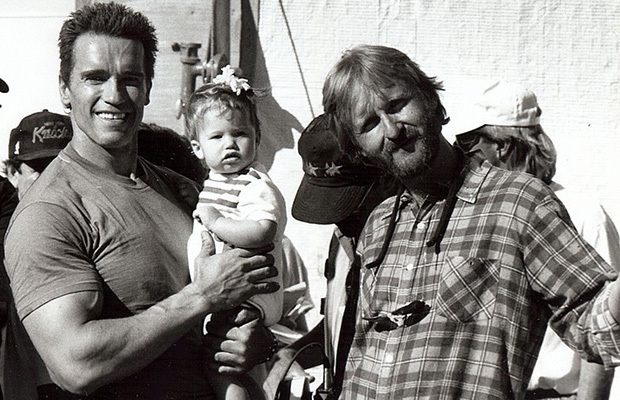 Schwarzenegger worked with guns for his action and fight scenes for more than a month prior to production. He needed to become ambidextrous in order for some of the moves to be accurately depicted, so he practiced each move up to 50 times before executing it on set. In 2008, the film was selected by the Library of Congress for preservation in the American National Film Registry, as it was deemed to be “culturally, historically, or aesthetically significant” to the nation’s film history. 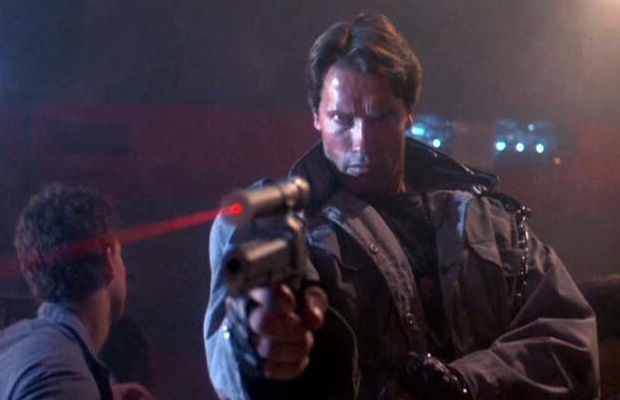 Cameron fired his agent because he did not like the concept of The Terminator. And what a good move it was! Spartan Burgers, the restaurant that can be seen from the Tiki Motel, is a real place. It is in Huntingdon Park, CA, and you can even find it on Google Maps. 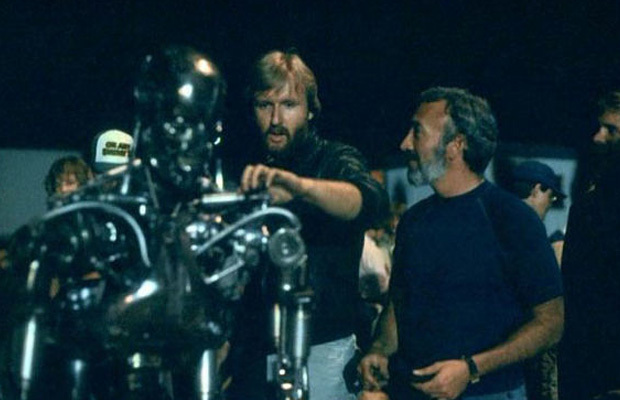 Bill Wisher helped James Cameron to translate his original writing and drafts into the script form. Because the two men lived rather far away from each other, they communicated their ideas through recording tapes shared over the telephone. 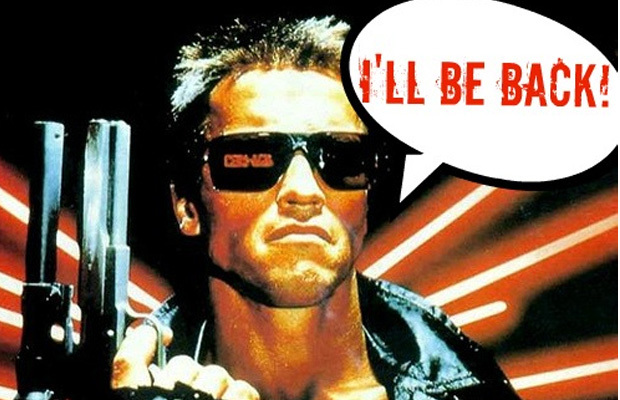 Schwarzenegger wanted to change his infamous line “I’ll be back” because he could not properly pronounce the contraction due to his language barrier, and felt that a cyborg would not use such language. 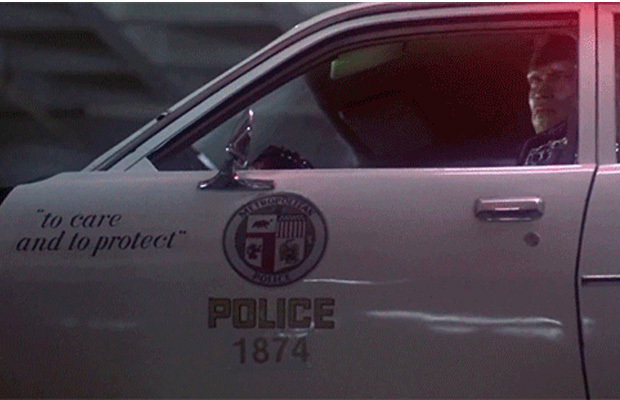 The LAPD motto changes during the middle of the film. In the first scene that included police cars, the motto on the side of the car read, “To Care and Protect”; however, just 40 minutes later into the film, the motto on the side of the car had changed to, “Dedicated to Serve”. 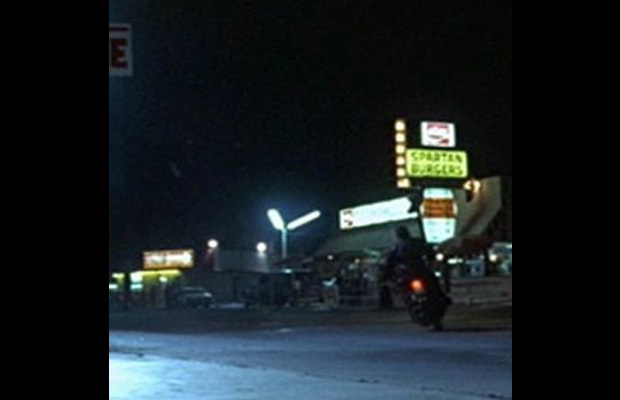 What was likely a continuity error makes it seems as though all hope to protection was abandoned as soon as the Terminator made an appearance on screen. 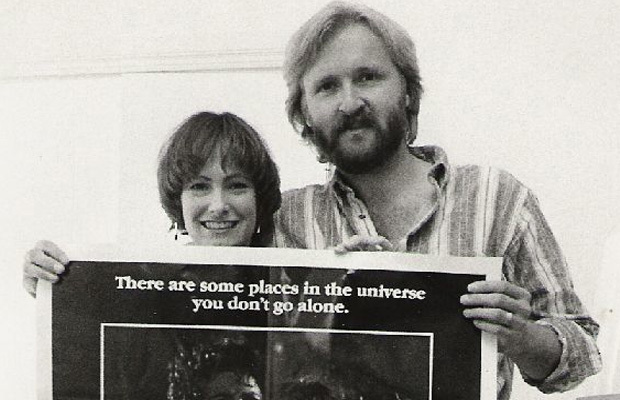 The rights to The Terminator were sold to Gale Anne Hurd for just $1.00 with the intention that Cameron would take on the role of director during film production. Hurd never did any writing for the film, but acted in the role of a producer. The Terminator is the only character listed as both a hero and a villain in the American Film Institute’s list of 100 Heroes and Villains. 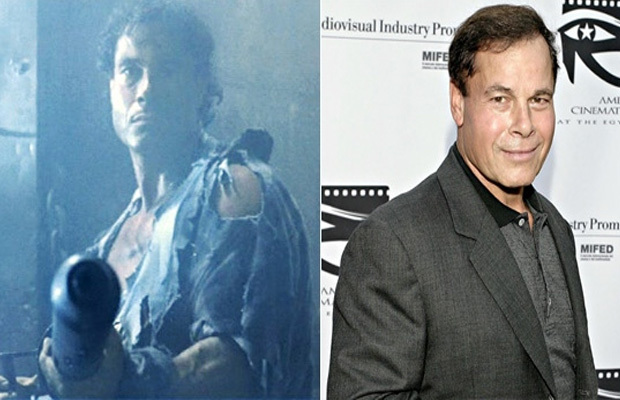 The film introduced Franco Columbu who portrayed the future terminator in a dream sequence during the film. Columbu was Italian, and a previous “Mr. Olympia” like Schwarzenegger himself. 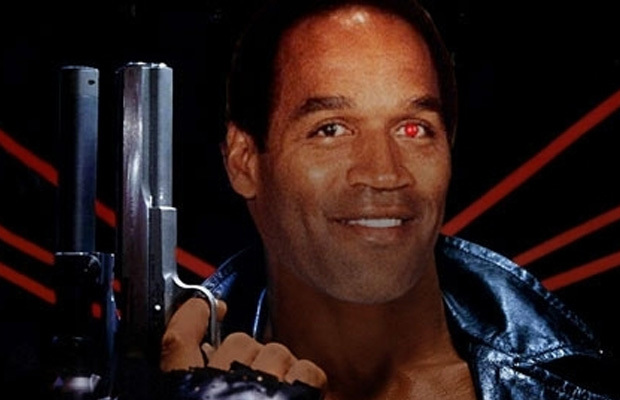 The studio had originally suggested O. J. Simpson for the role of the Terminator, but Cameron shot down the idea because he felt that Simpson would not be “believable as a killer”. Oh, how the tables have turned. 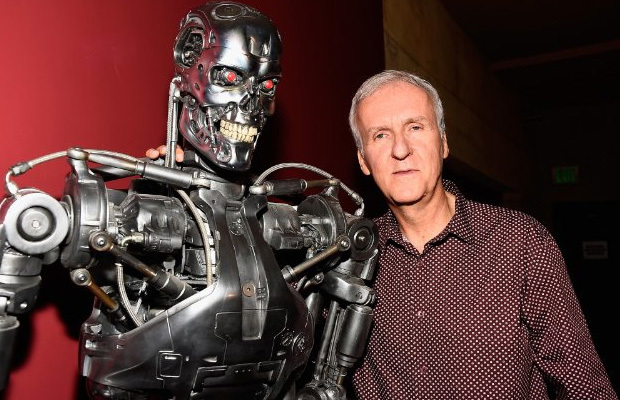 The Terminator launched the career of James Cameron. He was a “nobody” before the grand success of the 1984 film, and had previously been stuck in a pattern of being fired, rehired, and waiting for production on various films to begin. Must have been worth the wait since he directed one of the top grossing films of all time.